We did it!!!! Vera had her surgery in Dec and is doing so well. It is a miracle and we are so very pleased with her progress. We would like to thank everyone who was so very kind and made contributions and also for all the very kind words. We thank god every day for his grace and giving Vera the strength to fight her battle and win. Thanks again to everyone for everything!!!! Vera Etheridge is raising money to pay for uninsured medical expenses associated with her liver transplant. 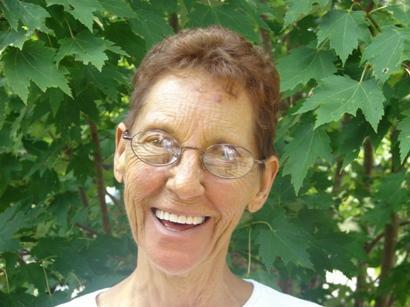 Vera lives in Dahlonega, GA and is being treated at Emory University Hospital. Vera is very close to getting her transplant, as she is now only waiting for her pager to go off. Vera is the wife of Steve for 40+ years. She has two grown married children and 3 wonderful grandchildren. She continues to have a very positive outlook and tries to live her life as if nothing is wrong. She amazes everyone with her tremendous attitude! Vera has chosen to fundraise with HelpHOPELive in part because HelpHOPELive provides both tax-deductibility and fiscal accountability to her contributors. Contributors can be sure that funds contributed will be used only to pay or reimburse medically-related expenses. Her fundraising campaign will continue through June of 08 so please continue to spread the word to help her raise the much needed funds. To make a contribution to Vera’s fundraising campaign, click the “Contribute Now” button. To email this page directly to others in your community, who might wish to learn about Vera’s campaign, click the email button and type in as many email addresses as you wish. For more information, please contact HelpHOPELive at 800-642-8399 or Jewel Donaldson at 706-429-7124. Momma/Granny Vera: Danny, the kids and I continue to keep you in our prayers. The Lord is the true and untimate healer as he has shown us with Danny before and he is with us now. We know that he is also with you. Remember that God is our strength and our refuge and that all things are possible through him. We love you and miss you. All things are possible through Prayer, and you remin continually in ours. Vera,Your my big sister and I love you with all my heart.You were there for me when Teresa died and I will always be there for you we all will but that is what families do.I know God has his hand on you and we will get through this together as a family. Like Lynn said you can't get rid of us that easy. Miss Vera- You have so many loving people supporting you, how can you not beat this!! Vera, You already know that you can win! You have a loving family and fantastic support group that will see you through. Aunt Vera, You know they say God want put more on us than we can stand, Sometimes we all go through very rough times and we think there is no end, We see no way through it!!! Then God steps in and shows everyone, Remember... He said "I am" , I am the truth ,the light and the way.He died on the cross for our sins, He took stripes for our healings.So have faith in God turn all your worries over to him, I know he will be there for you and I know you will be healed.My prayers are with you and if you need anything I am only a phone call away .Love You very much. I love you mom and we are going to beat this thing!! !